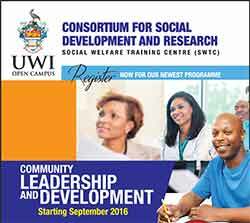 The Social Work Training and Research Centre (SWTRC) is a unit within the Consortium for Social Development & Research (CSDR) of The UWI Open Campus. 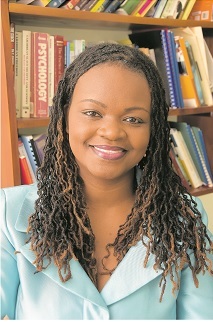 The mission of the Centre is to be a centre of excellence for the training of mature persons engaged in the field of social services in a wide variety of programmes designed to contribute to effective functioning of the family, youth and community development for the Caribbean societies. The Vision of the SWTRC is to provide effective training for para-professional social work practitioners, equipping them with the skills necessary to confront the challenges of present day Caribbean society and to expand research in social services and youth studies.